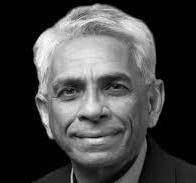 Dr. Salim Mansur is professor of political science at the University of Western Ontario. The author of Mantua Books' award-winning Delectable Lie: a liberal repudiation of multiculturalism, Mansur also authored Islam's Predicament: Perspectives of a Dissident Muslim, and co-authored The Indira-Rajiv Years: The Indian Economy and Polity 1966-1991. Delectable Lie, originally published in 2011, was the proud recipient of The Montaigne Medal from The Eric Hoffer Book Awards in 2014 for 'Most Thought Provoking Book by a Small Press'. The book was revised in 2015 for introduction to the American market. Mansur has just released his latest book, The Qur'an Problem and Islamism: Reflections of a Dissident Muslim. It is now available at amazon and can be ordered through any bookstore.